The Prestige All-In-One Soft-Sided Art Portfolio is best for storing artworks, documents, layouts, and also rolled documents. It features a one-inch gusset and four exterior pockets - one large pocket on one side, two medium sized pockets on the other side, and one cell phone/mp3 player pocket. Also, it comes with a long slot for carrying a T-square and a tube sleeve. It has open ends to fit rolled documents. Made of heavy-duty, durable, water-resistant and lightweight nylon, it ensures exceptional protection from the elements. 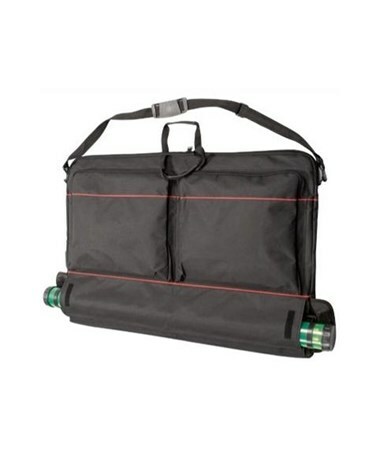 It comes in black color and has red piping accents. 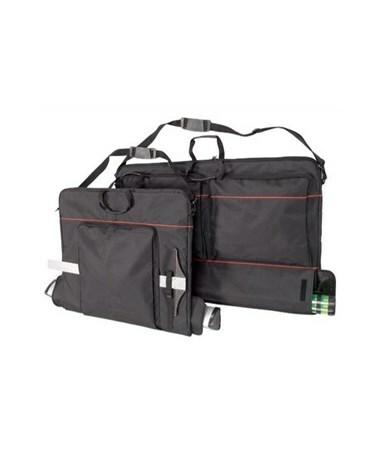 This art portfolio includes an adjustable detachable shoulder strap and comfort grip handles. 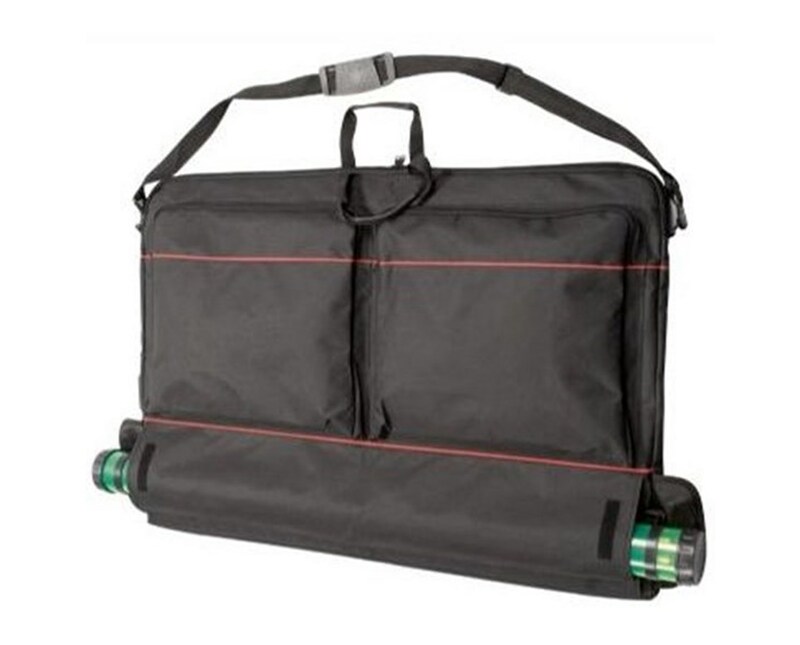 In addition, this black file bag has small, zippered interior pocket that is perfect for storing shoulder strap or small supplies. The Prestige All-In-One Soft-Sided Art Portfolio offers two sizes that suit your storage and transportation needs. Please select your preference from the drop-down menu above.